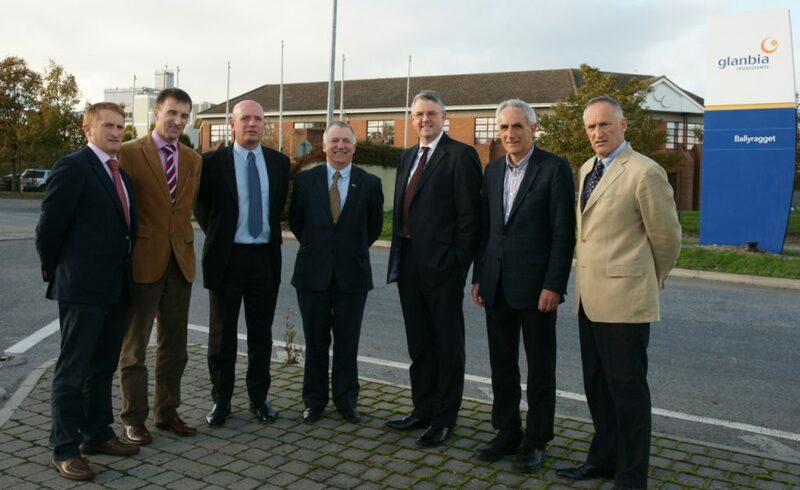 Pat Ryan, Glanbia; Tom O’Dwyer, Head of Dairy KT Department, Teagasc; Richard O’Brien, Dairy Adviser, Teagasc; Prof Gerry Boyle, Teagasc Director; Mr Jim Bergin, Chief Executive of Glanbia Ingredients Ireland Ltd; John Moloney, Regional Advisory Manager Waterford/Kilkenny Teagasc and John Fitzgerald, Glanbia. 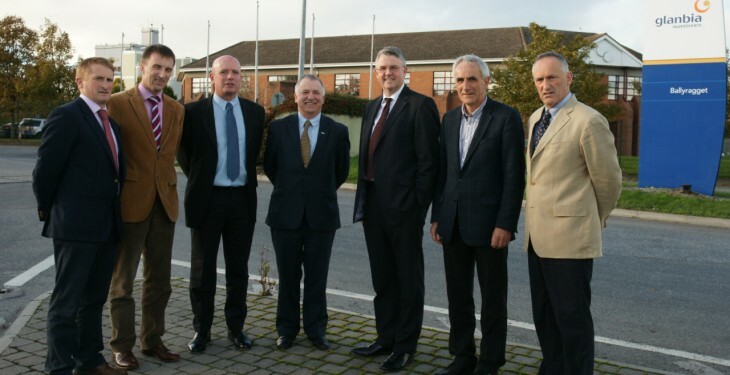 A new joint farm development programme has been agreed and launched today between Glanbia Ingredients Ireland (GII) and Teagasc. This three year development programme, running to 2017 , is aimed at the 4,400 GII milk suppliers and is designed to assist participating GII suppliers achieve profitable and sustainable expansion in the post-quota era. The programme is deigned to help ensure that participating GII suppliers are equipped with the necessary skills and knowledge to sustainably and profitably develop their dairy farm businesses, following quota removal in April 2015. The objectives of the new joint initiative are to: improve cost control and farm profitability, increase grass growth and utilisation, improve herd fertility, increase milk solids production, improve milk quality and maximise compliance with the GII Open Source Sustainability standard. A cornerstone of the new initiative will be a network of ‘Monitor Farms’ which are currently being identified. These Monitor Farms will provide local performance data which will assist GII suppliers in managing their own farms. In addition, it is envisaged that these new Monitor Farms will act as venues for increased engagement with those GII suppliers who are not members of Teagasc facilitated discussion groups. The new programme will continue to support the delivery of a network of discussion groups by Teagasc Advisors. GII Chief Executive, Jim Bergin welcomed the start of a new programme. “GII recognises the great service provided by Teagasc and its Dairy Advisers to our suppliers. We were keen to continue our relationship with Teagasc especially given the changes which will occur over the next number of years.